The second installment in the best-selling survival horror action-adventure game series. Similarly to the original installment, the game has been developed by the Japanese studio Capcom. Resident Evil 2 is a sequel to the 1996’s best-selling survival horror game, considered to be the most important one in the genre. Similarly to the previous installment, the game has been developed by Capcom. 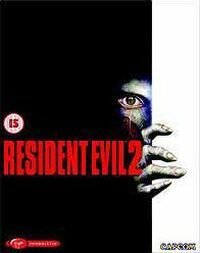 The action of Resident Evil 2 takes place after the events shown in the first installment – nearly all citizens of Raccoon City have been infected by a mysterious virus, which changed them into bloodthirsty zombies. Once again, a player gets to control two characters – this time around it is Leon S. Kennedy, a young police officer; and Claire Redfield, the sister of the main protagonist of the first installment – Chris Redfield. Claire is a journalist, who wants to find her lost brother. The main protagonists meet in the city center and begin their cooperation. Funnily enough, they get separated, and a player gets to follow their parallel adventures. Resident Evil 2 delivers campaign structure similar to the one featured in the first installment, which has become the series’ trademark – depending on the character a player decides to control, one gets to participate in two separate campaigns connected to each other only by some events. Unlike Resident Evil, however, character selection does not affect the game’s difficulty level. In terms of its gameplay mechanics and technical aspects, Resident Evil 2 does not deviate much from the first installment. Gameplay revolves around exploration, solving relatively simple puzzles, and fighting hordes of zombies. In terms of the visuals, the developers have improved the textures’ quality and the protagonists’ animations. Apart from the two separate campaigns, a single playthrough is relatively short, however, upon completing the game, one is rewarded with numerous bonuses, such as new outfits and previously unavailable types of weapons.